Why Are Newer Homes Always So Lame for Home Theater? So some of you who may know me, know that my wife and I desperately want our own place. Our hobbies don’t really mix well with apartments or rental properties. She wants to have a garden and raise bees, both difficult in rentals. Similarly, powerful home theaters and apartments mix like old people and Miley Cyrus, no good can come from it. That said, once her work situation is in order we hope to purchase our first home. This goal has us carefully stepping in to the house hunting game. A somewhat dreamy and fun experience that usually leads to frustration and anxiety when the reality of everything sinks in. Naturally, when it comes to perspective homes we are most interested in a large kitchen, and for me, the right room to build a dedicated theater space (I won’t talk about the kitchen here). Unfortunately, finding the right design elements have proved to be far more elusive than I first thought. So what kind of features makes a room great for a truly killer dedicated home theater? Well number one for me is light control. Walkout basements with large patio windows do not work well if you are using a front projector and screen. It seems like no amount of curtains can truly tame the sun at midday. New home builders love bright walk-out basements, and they must sell well too apparently, because dark large rooms are increasingly a rare find in newer construction. Another difficult obstacle comes from rooms that have odd shapes, or other design features that force you to move your display to some lame location. This can be difficult, as it seems that “L” shaped basements are also all the rage with current builders. 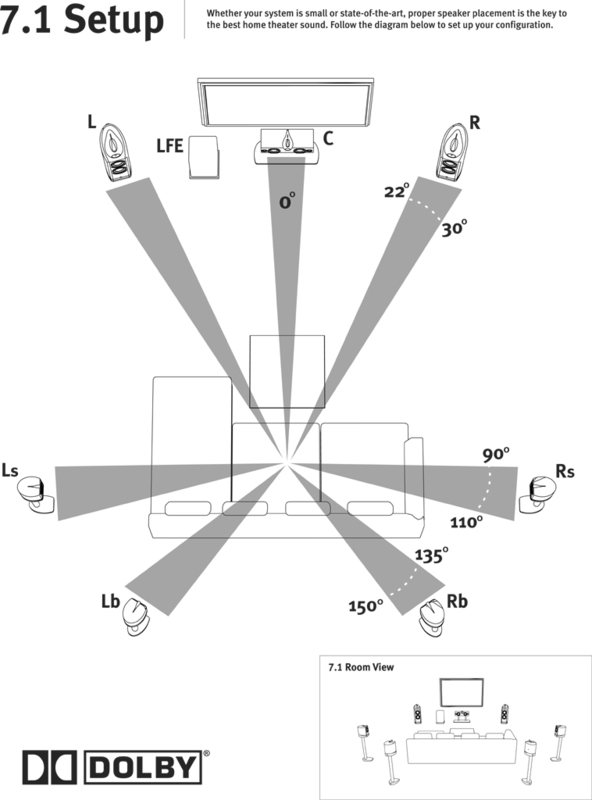 You want to avoid corner set ups, and ensure that your sight lines and audio are positioned symmetrically with your seating position. Try to follow the Dolby surround sound guidelines shown below. The last major thing to look for is the ability to upgrade or feed the appropriate wiring for your equipment. I find myself asking questions like “how many breakers are needed to feed this gear power safely? Do I need to upgrade the electrical in this house?” If using a projector, I would want to know if the ceiling is sheetrocked, and if so how difficult will it be to feed power and HDMI cabling to a projector? Do I need to get cabling around fireplaces or staircases? All of this adds time and effort when retrofitting audio and video in to recently finished basements. When it comes to A/V integration, an unfinished lower level or a basement that used to belong to grandpa (the one with the dark wood paneling and the Schlitz beer sign still hanging in the corner) are perfect. You never feel bad gutting and starting fresh with something that dated. People seem to love to finish lower levels in newer homes themselves so they can add the finished square footage to their home, and increase its appraised value but in the process I find myself wanting to take a sledgehammer to 90% of them. I wanted to end this post with a string of pictures of what I would call “epic basement A/V fails.” The idea was to post a bunch of pictures of some nice homes for sale near me, priced below $200k, that have lower levels so bad that they rule out my ever purchasing it for anything near their asking price. Finally, I wanted to end with the one or two homes I know of in town that are perfect for a future theater project. However, MLS listing policy, privacy issues, and the fact that direct links to listings will disappear in a few weeks makes this kind of difficult. Maybe I can work out a way to do it in a future post or even throw links to a few listings in the comments that can be removed later. Hopefully we can report some positive updates in the coming months! You may be a AV nerd if you walk in to large blue big box electronic store and think to yourself, “I wonder if I can stump the blue-shirt today.” It is most prevalent with audio products, and has almost turned in to a game for me. Don’t get me wrong, most of the guys are friendly and know their stuff. I even used to be one! For example, “Which one of these audio receivers includes dedicated multi-channel pre-outs?” A simple enough question for anyone who considers themselves an audiophile. The sales guy gives me this look like a deer in the headlights of a freight train. You can almost hear his brain saying, “Oh no, dude, why are you trolling me with a question like this? You already know the answer… I should have helped grandma with her Bose sound-bar…. Where is my department lead?” To be fair this is not the fault of the guy working the floor right then. He needs to know every product on the floor in and out, and this particular product is not there. The problem is that the product selection in the store has become incredibly limited compared to the past. 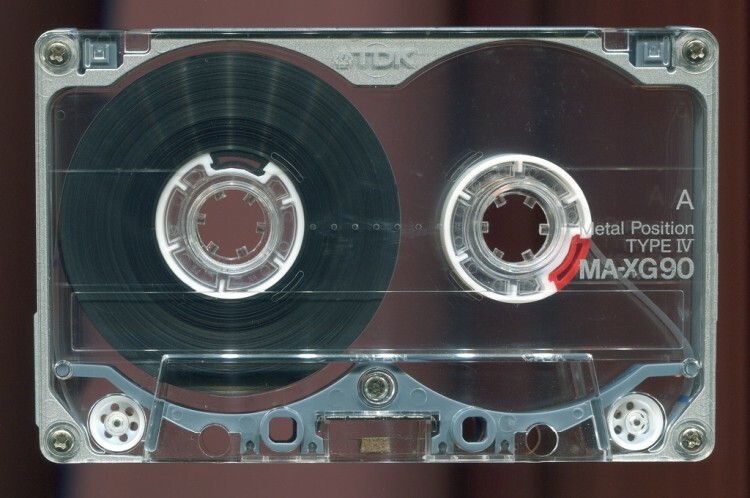 Often, there is no way to really demo any of the audio products anymore. Do you remember the “boom rooms” from a decade ago? You know the enclosed alcoves on the side of the store where you could actually listen to a pair of speakers, or heaven forbid a subwoofer! They are gone, generally replaced with “mini-stores” within the store dedicated to mobile devices like Apple or Samsung. 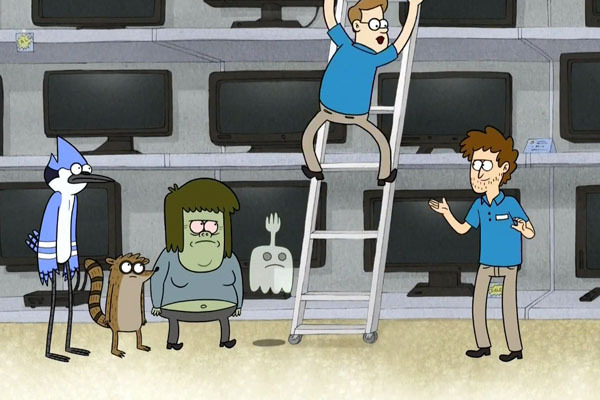 Today, the speakers sit on a metal shelf in the corner, not connected to anything. The inability to demo quality audio isn’t surprising given the trend to move towards low quality streaming content. How much of generation Z has even watched a Blu-Ray with lossless multi-channel audio through a descent system? To be fair streaming audio and video quality is improving with better compression. High quality audio downloads are becoming more popular through Apple and other sites, but a lot of people won’t be able to enjoy the improvement as most content is still watched and listened to on computers or mobile devices. Great sound really isn’t that pricey, and it isn’t a hard sell once you have experienced it, but that experience generally isn’t going to happen at the big blue store. Welcome to the home page for my blog about home theater and general tech “nerdery.” As you can see things are pretty bare bones as of now. I still need to settle on a theme and spruce things up a bit. My hope is to keep this blog more opinion-editorial oriented regarding new trends in the consumer electronics industry, while also keeping a “home theater” focus. This would be in slight contrast to a site you may visit to research specific products. The net is full of that, and I’m happy to steer anyone towards my favorite places to learn more on the hobby. Despite that, I am sure I will be throwing my .02 cents up on products and services that come my way. Still, a dedicated “review site” this is not. I want to keep things much more fun and laid back for folks that aren’t looking to just read gear reviews. So what is on my mind today?! 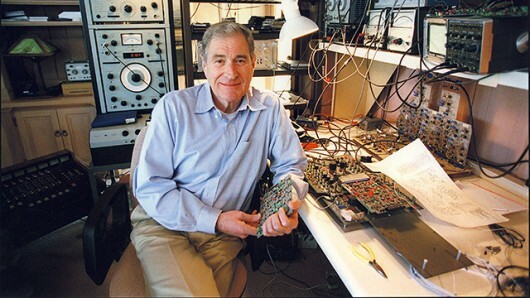 Well, I hate to start on a downer but it is worth mentioning that Ray Dolby passed away yesterday at the age of 80 (of no relation is the musician Thomas Dolby, who recorded the hit “She Blinded Me With Science” by the way). He founded Dolby Labs in 1964 and mainly focused on technology to reduce noise on magnetic tape. In the 1970’s they pioneered “Dolby Stereo” which allowed a center and surround channel to be added to film and tape for theatrical playback. In 1982, they would introduce “Dolby Surround” for the home market. Thirty one years later we have Dolby True HD lossless audio in the home, and now Dolby Atmos in the theaters. Someone could easily write a book on everything Dolby. You have to be a real nerd to dig in deep to all of that… hence the blog name… I still think it’s amazing. Our thoughts are with his friends and family.